And we are back with yet another ‘X-MEN‘ movie, marking this the 9th film in the franchise, that is if you count the ‘Wolverine’ movies and what not. If you’re just counting purely ‘X-MEN‘ films, than this is number six with it being number 4 from director Bryan Singer, who started this whole comic book movie crazy back sixteen years ago with the first ‘X-Men‘ film. From there, we have seen the Marvel and DC Universe take off into a multi-billion dollar industry. It’s quite mind boggling, and this new film ‘X-Men: Apocalypse‘ seems to take everything we’ve seen since Matthew Vaughn’s ‘First Class’ and sculpt it into this one film. 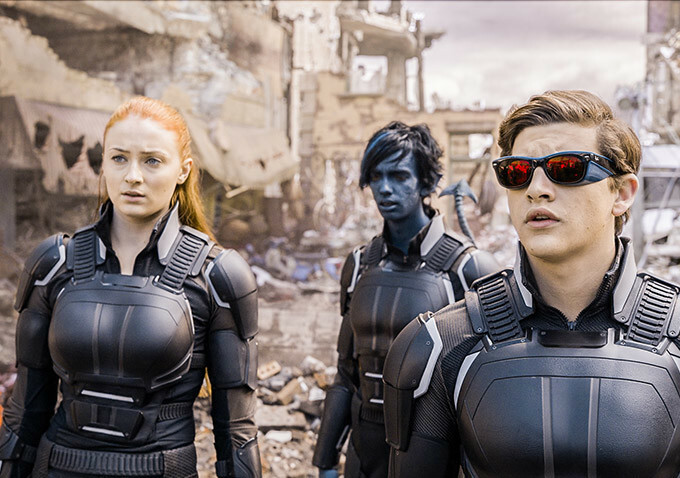 CLICK HERE TO READ THE FULL REVIEW OF X-MEN: APOCALYPSE! Wolverine’s Back For ‘X-Men: Apocalypse’!!!! This entry was posted on Monday, May 9th, 2016 at 5:00 pm	and is filed under Comics, Film, News. You can follow any responses to this entry through the RSS 2.0 feed. You can skip to the end and leave a response. Pinging is currently not allowed. « Get Ready To Bring Home ‘Hail Caesar!’ On Multiple Formats!! !